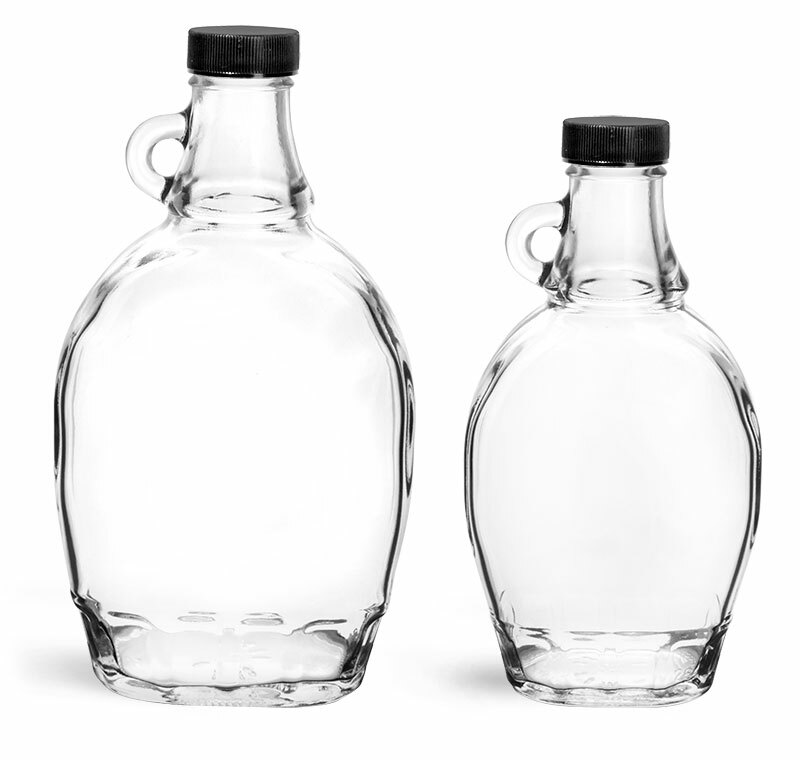 Maple syrup could be packaged effectively in these clear glass flasks with black tamper evident caps. 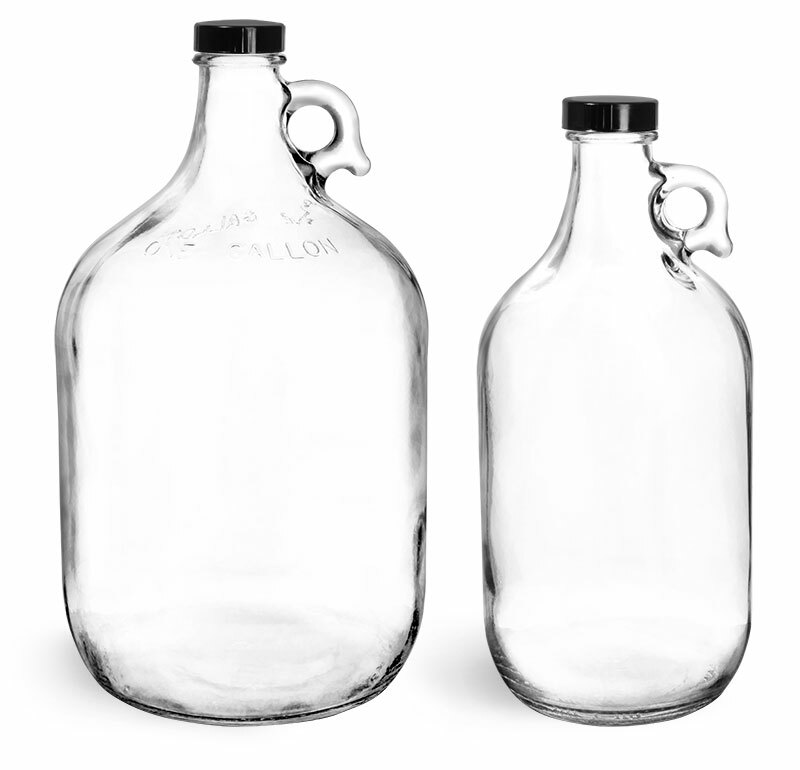 The clear glass maple syrup bottles provide front and back panel labeling areas, and an easy-to-grip shape for smooth handling and pouring. After filling, place the black tamper evident caps onto the flasks. 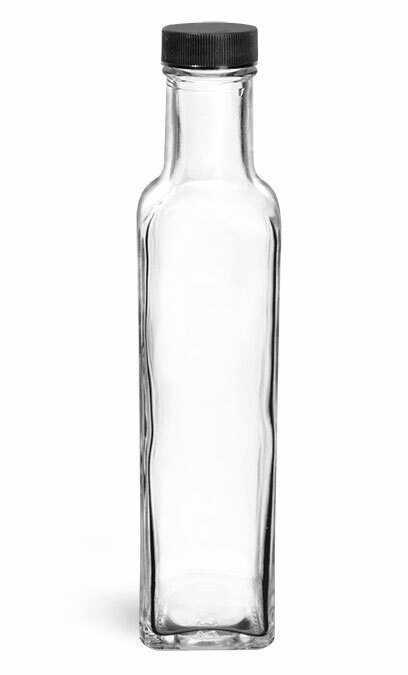 Once opened, the tamper evident rings detach from the caps and remain on the neck of the flask, clearly indicating to your customers that the maple syrup bottles have not been previously opened. 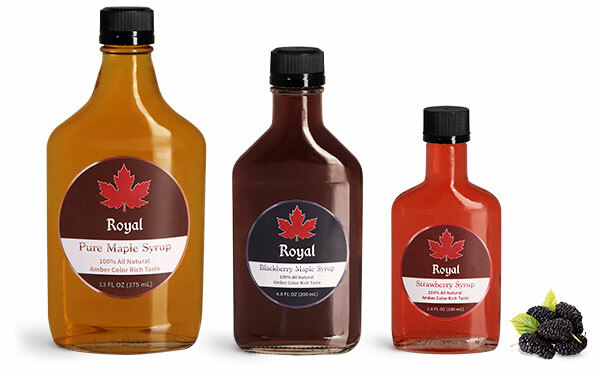 Consider presenting your maple syrup in these unique glass bottles today!